Replace lost moisture Dry hair is the number one issue we face come September. "Hair can't repair itself, we have to put back in what was taken out," Reitman says. If your hair feels dry and even crunchy, he recommends using an intense hydrating mask like Moroccan Oil Masque, $48.75 weekly. After shampooing, apply the mask. Step out of the shower and blast hair with a blow dryer set on medium heat to help the hair expand, allowing the product to penetrate the hair shaft. 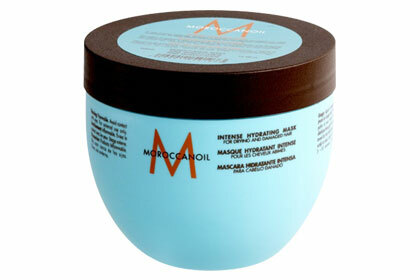 Once your hair is warm, let the mask set for another 10 minutes then rinse. I definitely need this - my hair and scalp has been crazy dry this fall. Olive oil is very useful for dry hair. Massage your hair using olive oil, as it nourishes hair and helps in its growth and also solve Hair Fall Treatment. im afraid my hair is permanently fried. im never going to have pretty hair. I use Redken 06 (not 05) and it's great. Nectar of the Gods is terrific too. I love the Aveeno Nourish + Moisturize Shampoo! Thanks for sharing these great products with us!